Al Hartmann | The Salt Lake Tribune Natural gas rig pumps away in the foreground of the coal-fired Huntington Power Plant west of Huntington. A new report concluded that power from PacifiCorp's plant and its sister plant Hunter down the road will cost about $1 billion more than wind-generated power over the remaining years of the plants' lives. PacifiCorp could save its ratepayers hundreds of millions of dollars if the utility replaces some coal-fired units earlier than planned with renewable sources, according to an analysis commissioned by the Sierra Club, an environmental group that has pushed for the power industry to move away from fossil fuels. With the cost of operating and maintaining old coal plants, such as Utah’s Hunter and Huntington, climbing, a switch to renewable sources makes financial sense for many of the utility’s 24 coal-fired units operating at 10 plants, the report released Wednesday concludes. “Prices for solar and wind are coming in at extraordinarily low values, so it’s difficult for at least half these units to compete with those types of prices,” said report author Jeff Burks of Energy Strategies, a Salt Lake City-based consultant. PacifiCorp subsidiary Rocky Mountain Power is Utah’s largest electricity provider and a major consumer of the state’s coal. The parent company’s coal fleet accounts for 59 percent of the power it provides in a six-state service region, while 7 percent comes from wind and a tiny, but growing, piece comes from solar. Natural gas accounts for much of the remaining share along with hydropower. Sierra Club has taken a leading role in a broad campaign — some call it a “war” — to move the nation off coal, which releases heat-trapping gases linked to climate change. Activists see emission-free wind and solar as critical pathways beyond our historic reliance on fossil fuels, although the intermittent nature of these energy sources undermines their utility for electrical power, which must be generated the moment it is needed. Coal supporters argue use of the black rock maintains resilience and reliability in the nation’s electrical grid and forsaking the old standby fuel source will result in significant costs. Sierra Club hired Energy Strategies to compare the costs of power from PacifiCorp’s coal units versus the cost of obtaining power from solar, wind turbines and market purchases. The analysis found that 20 units run at a higher cost relative to wind energy to the tune of $2.8 billion over their anticipated lives. Solar’s cost beat 12 of the units, adding up to $700 million in potential savings. The study, however, is burdened with several caveats acknowledging it has not accounted for every possible cost factor. Left out were transmission-related expenses, possible penalties for disrupting coal-supply contracts, and other tough-to-predict costs associated with switching to renewables. “While parties can and do debate PacifiCorp’s long-term planning, our process has a proven track record of affordable prices, high reliability and environmental stewardship that goes back decades,” said Rocky Mountain Power spokesman Dave Eskelsen. Energy Strategies compiled the report without consulting PacifiCorp’s integrated resource planners and operations people, according to Eskelsen. “While we haven’t analyzed this particular document, generally, these kinds of studies are quite limited in scope and do not adequately consider reliability to customers and the cost of providing electric service for them in changing market conditions,” Eskelsen said. Clean-energy advocates are using the report’s conclusions to pressure Rocky Mountain Power, a heavily regulated monopoly, to invest more heavily in wind, solar and efficiency efforts. “This report couldn’t have landed at a better time. Rocky Mountain Power is launching its next 20-year planning process, and it is clear we need to maximize renewable energy and energy efficiency investments, and plan for earlier retirement of our oldest, uneconomic coal plants,” said Sarah Wright, Utah Clean Energy’s executive director. 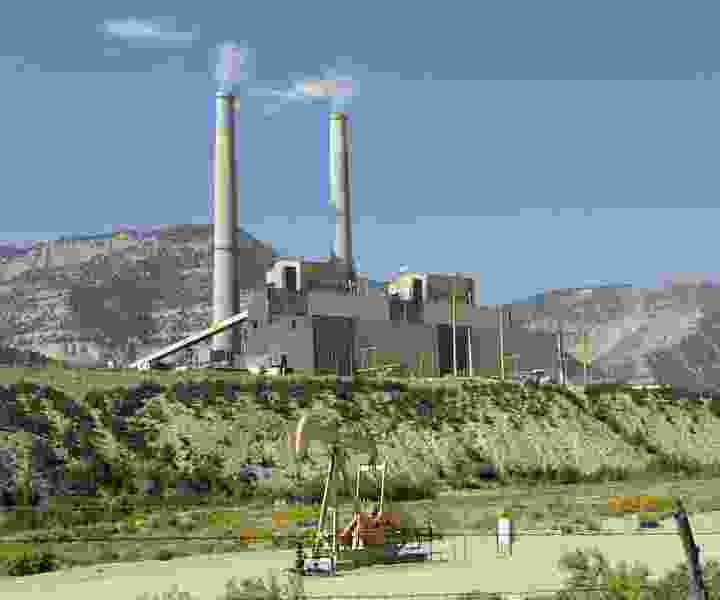 The report highlighted what the analyst saw as shortcomings at Utah’s 895-megawatt Hunter and 1,320-megawatt Huntington plants, built in the 1970s near the coal mines that feed them. “It turns out that the coal from those mines isn’t all that cheap to get out of the ground, and the plants aren’t particularly efficient. Plus, they require a lot of capital to keep operating. Taken together, that really adds up,” said Jeremy Fisher, senior strategy and technical adviser for the Sierra Club. Relative to wind, power from these two Utah plants would cost about $1 billion more over their remaining lives, the report said. Their fuel costs run $20 per megawatt hour (MWh) and maintenance costs add another $3 in addition to variable costs.